1) For extended public holidays and festivals (Carnival, New Year, Holy Week etc. ), please consult Reservations. 2) Breakfast is included in the daily rate. 3) No additional service charge is added to the daily rate. 4) No extra charge is made for one child of up to 7 years of age in the same apartment as the parents or guardians. I have read and agree with the reservation conditions. I would like to receive information and special offers from Pousada Canto do Porto by e-mail. For a pleasant stay we have comfortable apartments fully equipped. There are four apartment options to choose from, with lively and rustic decor, all in perfect harmony with the praieira atmosphere. Already choose the type of apartment that best suits your needs and make your reservation! 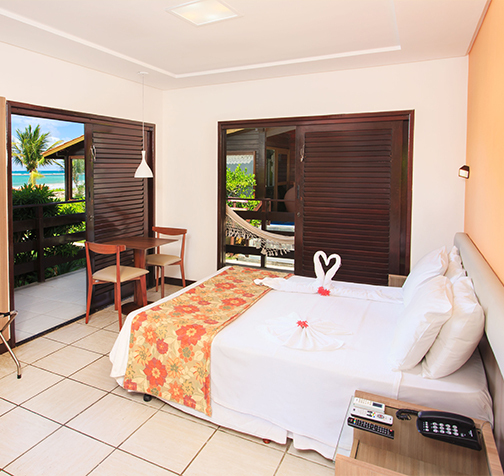 Awarded by TripAdvisor with the Certificate of Excellence, Pousada Canto do Porto is located in one of the best points of the seafront of the beach of Porto de Galinhas, just five minutes walk from the embarkation point for the natural pools and the center the Porto de Galinhas Village. No doubt your best option!